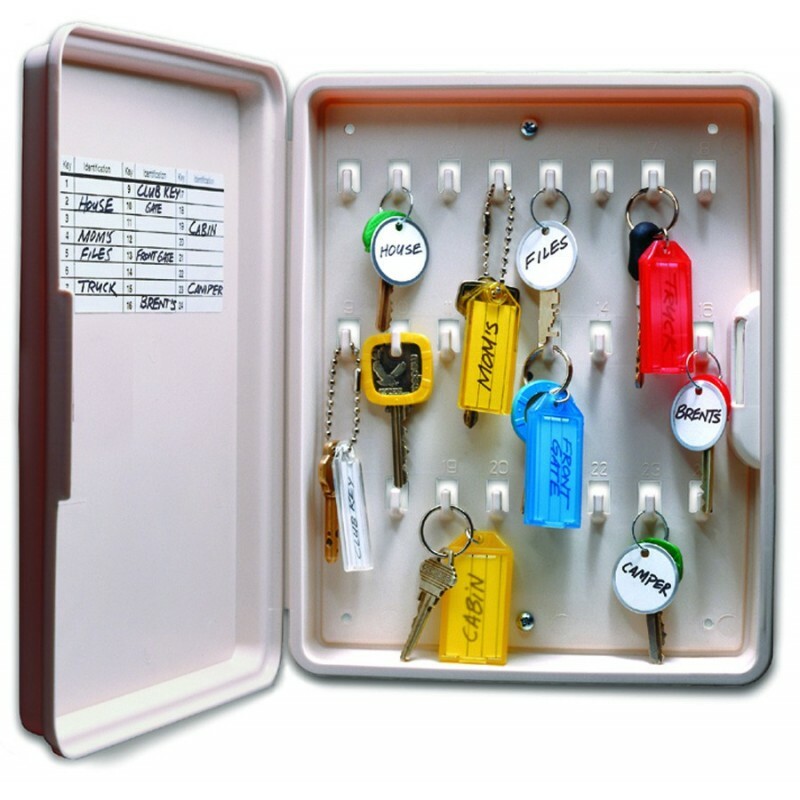 Rugged polypropylene key cabinet organizes keys for home, business or garage. Has 24 numbered hooks to coordinate with identification label inside. Friction latch keeps cabinet closed tightly. No. 61200 supplied with two keys; use Elgin 21 key blank. Supplied in beige with mounting screws and instructions.